Good Morning! I hope everyone is doing well. It's already Tuesday and time for a new sketch. It's posted on the TMS blog and it's super easy, I think you're going to like it. 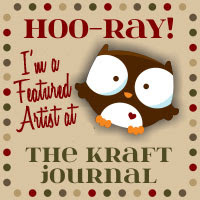 My card features a really cute digi by our sponsor, Zap Pow Designs. This one is called Love You a Latte. I love love love coffee, so this is right up my alley. 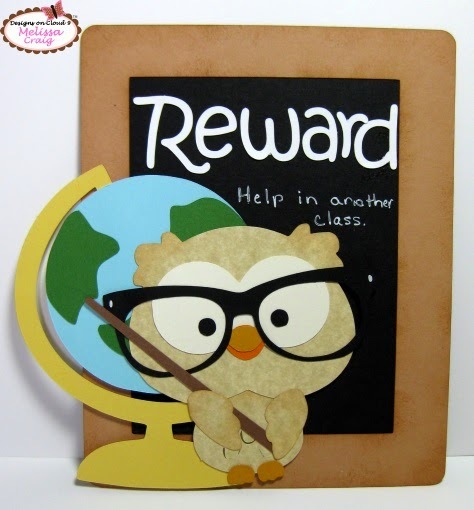 I used Kraft paper, paper piecing and a great cut file from the Silhouette Online store. 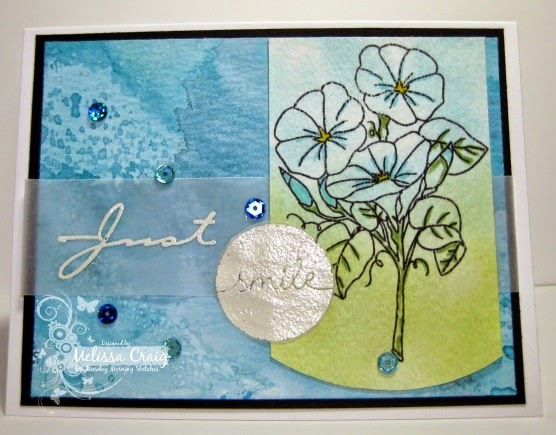 I also used washi stamps and dies from MFT, banner die is also from MFT, the flower was created using flower/bottle cap dies by Stamp Doctor and the sentiment is from Sweet n Sassy. 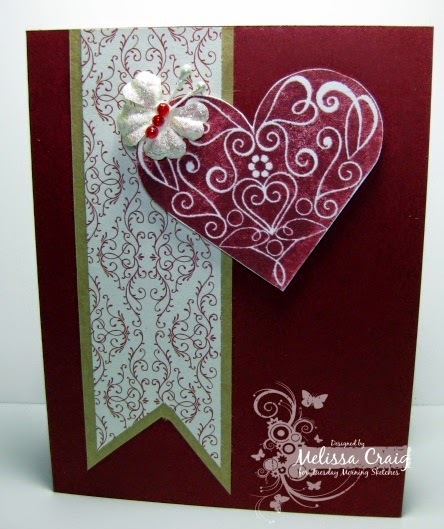 I love the shabby chicness in this card with a hint of country flair. Anytime you add gingham, it just feels homey. 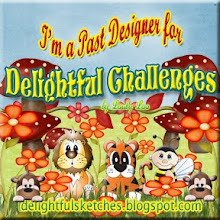 Thanks for stopping by my blog, leave me a comment so that I know you were here. And I'll see you over at the TMS blog. I made my own "chalkboards" using my Silhouette Portrait by creating a basic frame. Then I just cut some black card stock to layer the frame on. I cut the letters out using a font that I have called Honey Script. I even tried to do some zentangle, which is my sister's newest passion. It looks like a 3rd grader did it, no offense to 3rd graders. 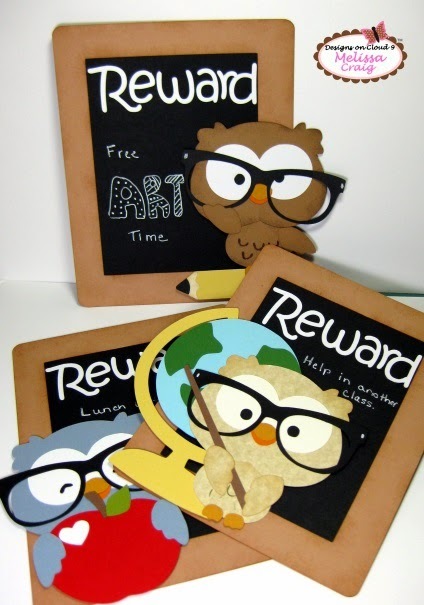 These are a really easy project and I think will be a hit with my sister's students. Have a great day! And don't forget to shop - Michelle is having a HUGE retirement sale that will end August 27th. Grab those favorites for $0.50 each now because they won't be available after the 27th. Hello! 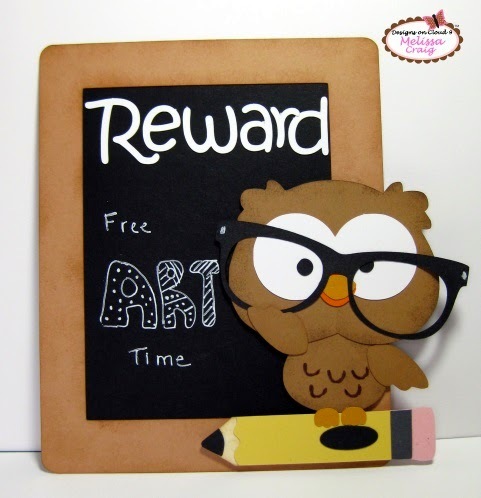 It's Tuesday and this week's sketch was created by Debbie. It was a bit of a challenge for me, I have to admit. But overall, it was a fun one to play with. This week's challenge is sponsored by Sami Stamps. Yay! 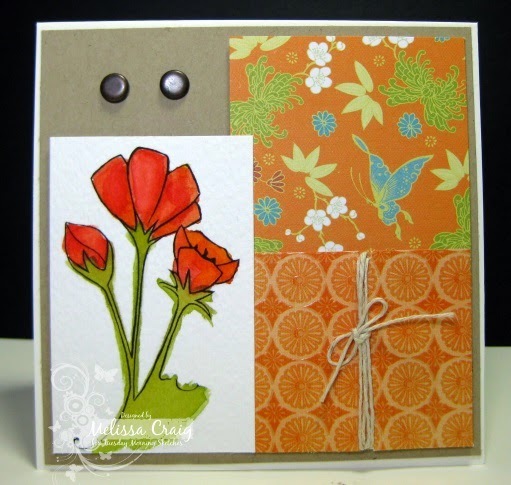 I am using her current freebie, Poppies Bunch. I love poppies, almost as much a sunflowers. And yes, Virginia, you can watercolor with digis! I had to continue to my challenge with watercoloring because I am thrilled to share that I can successfully watercolor with digital stamps. It's not as visually striking as it was in my head, but I told you last week, I'm still learning and I had to keep it fairly simple since I waited to the last minute to get my card done. And then I see that Kris and I thought a lot alike on this card. I swear I didn't copy her... if I had, it might've come out as good hers. At any rate, I printed the image on piece of Strathmore watercolor paper. I cut to 4x6 and then adjust my printer to make it think it's printing a photo. Then I heat set it with my heat gun. It didn't smear, bleed or fade. I painted the blossoms with a blend of Barn Door and Spiced Marmalade (Distress Inks) and the stems with Peeled Paint (my favorite!). I think the colors paired perfectly with the Mediterranean matstack. My card is 4 1/4 square card. Thanks for looking! Have a great Tuesday and we'll see you over at the TMS blog. Good Morning! 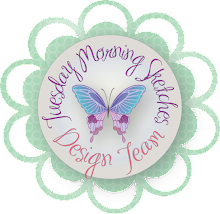 It's time for another fun sketch at Tuesday Morning Sketches and it's also Judged Challenge week which mean there's an added twist. The twist is Watercolor! I've really been getting into watching watercolor videos on You Tube. My favorite it Jennifer McGuire and I'm really enjoying the videos that the owner of W Plus 9 is doing, too. Kristina Werner is good, too. I bought a set a Gelatos awhile back with a 40% off coupon. And I scored big when Blitsy had a great sale on Distress Inks - next I want the markers. So anyway, I've been dabbling and playing and thought it would be a great twist. I'm not good at this, but I do love it. It's fun. 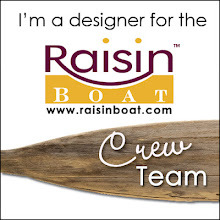 This week's sponsor is Creative Classes Online (used to be My Creative Classroom). Maybe they'll have a watercolor class. 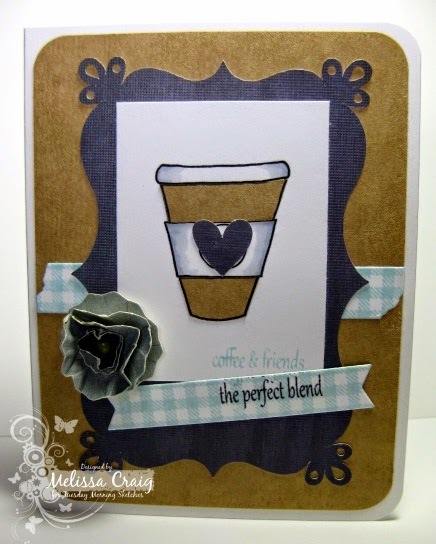 My card features Distress Inks colors Tumbled Glass, Broken China, Peeled Paint and a touch of Milled Lavendar. 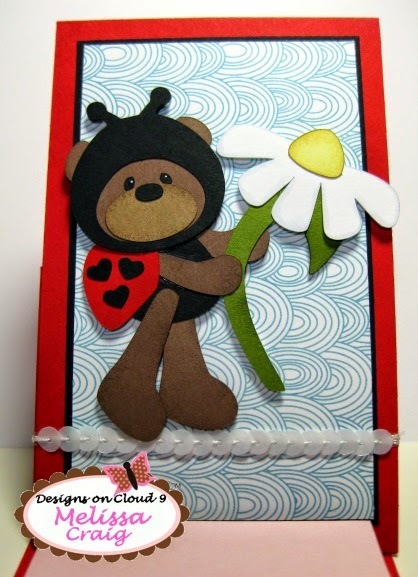 The stamps are from Sweet n Sassy Stamps (flowers) and some old greetings by Stampin' Up!. I embossed onto vellum. I think my card feels serene. I do hope you'll join us this week. See you there! Hello friends. I do hope you're doing well. I had an interesting commute home yesterday. I was on the 417 Toll Expressway and got a flat tire. It looks like someone actually stabbed my tire! I'm sure that's not really what happened, but that's what it looked like. I am so tired of car issues - they're all happening at once. I went in one day to get an oil change and came out with the oil change, new wiper blades and new rear brakes. I'm not arguing, all were needed. Then the calipers were locking up. So I had those replaced. Then the air conditioning died and that'll be about $1000 to fix. And then the headlight went out - thankfully that was $20 light bulb change. And now my tire. I knew I was going to need new tires anyway, but I was really hoping for another 6 months out of them. Oh well.... The bright side is, it's still a great car and it's paid for. This is all maintenance and let's face it, the car is 12 years old. Anyway, let's talk about fun stuff. This week's sketch is up at Tuesday Morning Sketches and it's a CAS one... or a jumping off point for something really decorated. It depends on your perception. I chose to go nearly literal with the sketch and kept it pretty easy. 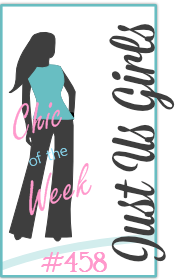 Head on over to the TMS blog and join us for this week's challenge. I hear that CASual Fridays challenge is on hiatus... this will help you with your CAS fix. Hello Everyone! I hope you're all doing well. 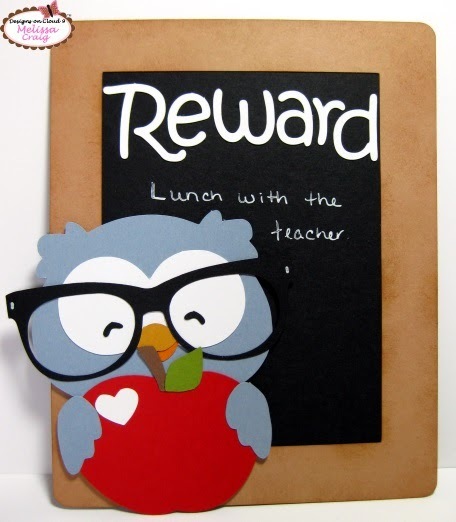 I have a really cute idea to share with you today - this is great for teachers gifts and since some of us are gearing up for another school year, it's a good time to think of these things. My kids start school on the 11th. So this is your basic easel card and your post-it note pad is what keeps the top portion up. I printed out some cute digi paper that I've had forever. Add a string of sequins for a simple anchoring embellishment. This svg cut file does come with a sentiment, which would look great, but I decided to keep this pretty simple. This was the very first cut file I purchased by Designs on Cloud 9 and I'm finally getting around to using it. I think this turned out really cute and now it sits on my desk at work. OK - I'm off to make another project to share. Have a great day!